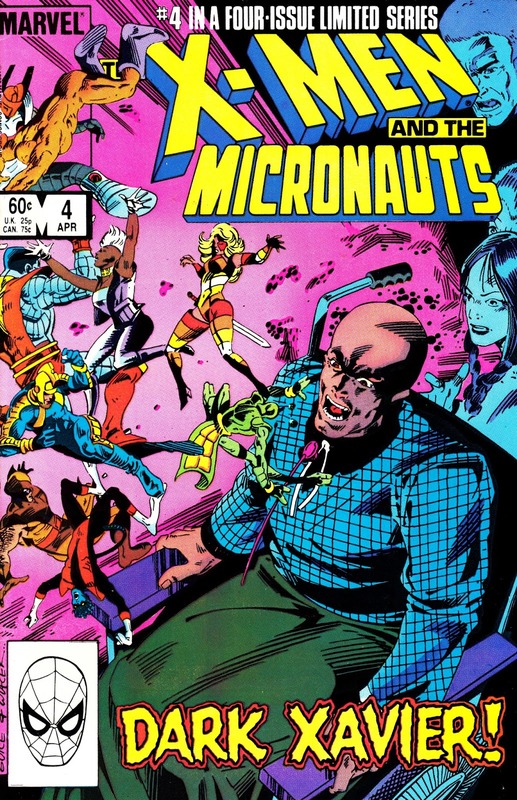 From 1983/ 1984: One of the more bonkers limited series (at least until the X-MEN/ TREK crossovers of the Nineties) of the Star Age: X-MEN AND THE MICRONAUTS. Well, maybe not so strange... the mighty miniature Micronauts were, after all, integral to the mainstream Marvel Universe even through the Bullpen had only borrowed them. 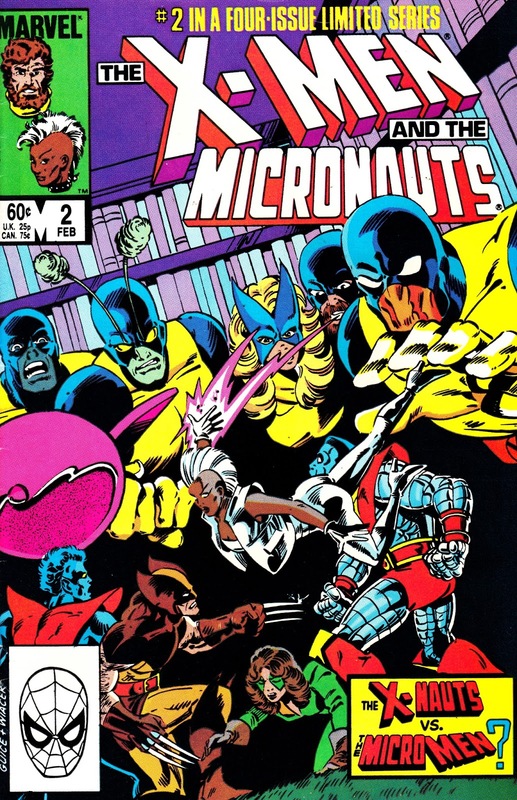 Quite why they were deemed to be worthy of a four-part run in the mutants is less clear. Presumably the strong sales in the direct market made it a no-brainer for the circulation department. Back issue prices don't reflect it but this is also one of the rarest X-outings of the decade. 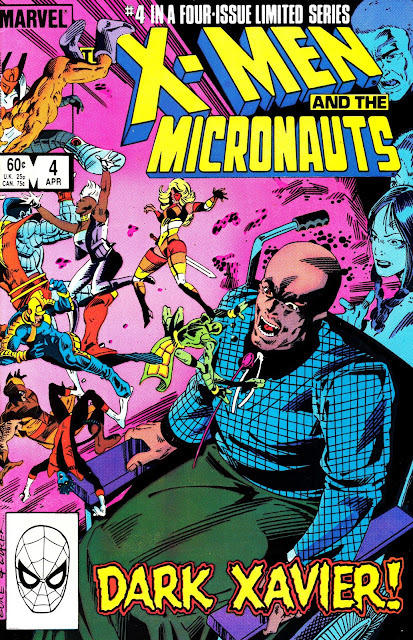 When Marvel lost the rights to the Micronauts a few years later (a plan to revive them a decade later stalled on the launch pad), they also lost the ability to reprint this four-parter. It's not been seen outside the back issue bins (where, in truth, it seldom surfaces as a complete set) anywhere (except a four-issue rerun in MARVEL UK's THE MIGHTY WORLD OF MARVEL... which was cancelled a month after the reprints ended) since. The announcement that IDW have picked-up the rights to both the 'Nauts and ROM THE SPACE KNIGHT (who, unlike the former, didn't see a return to comics during the early Noughties fad for toy-based print revivals) opens up the slim possibility that both the original series will return to print... although IDW will still have to overcome the problem of multiple appearances by Marvel's copyrighted characters throughout both runs. 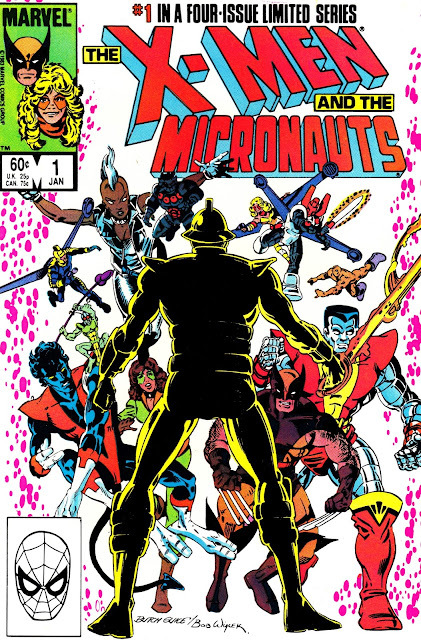 The UK reprint in MWOM marked the last appearance of the Micronauts (following stints in STAR WARS WEEKLY, STAR HEROES and FUTURE TENSE) in the British line. 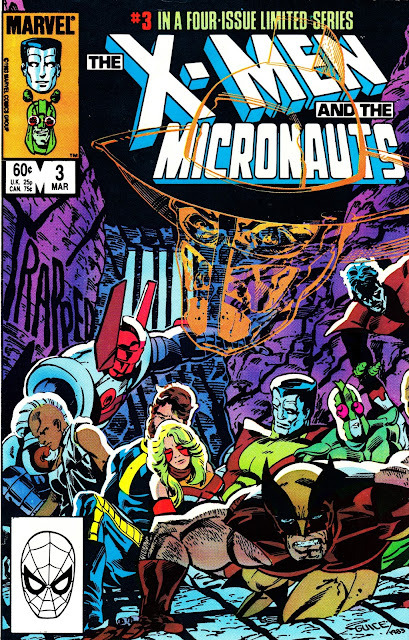 Their finale should have been in the pages of SECRET WARS II (yup, they were blessed by an encounter with the big-haired Beyonder) but the Annex of Ideas (possibly because the rights had already lapsed) skipped both the Micronauts and Rom crossovers. the ROM issue is one of the best SECRET WARS II cross-overs in which the beyonder actually does some good when he resurrects the little girls parents.